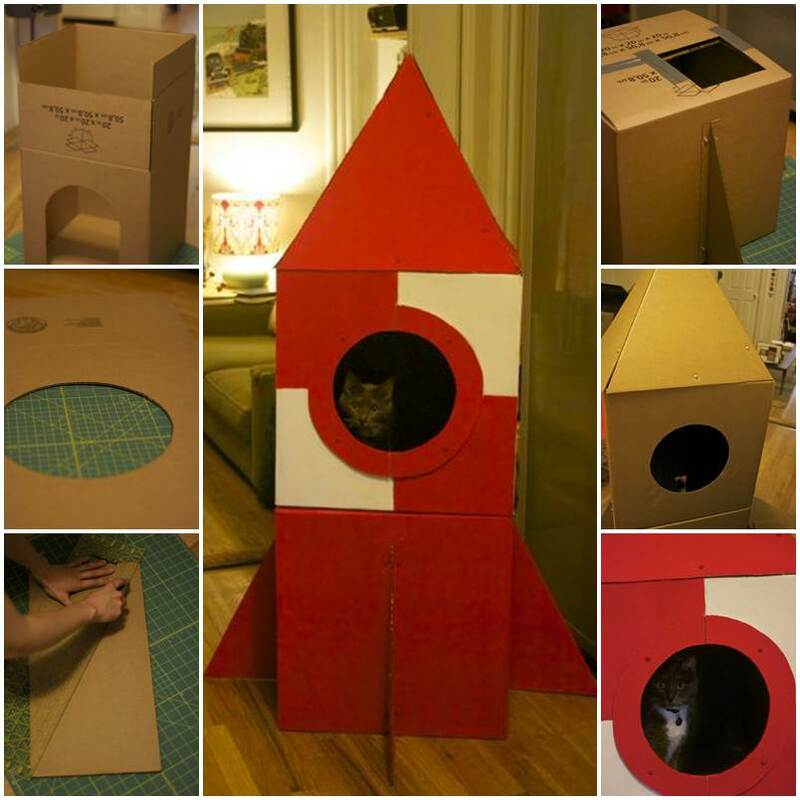 The Zen of Making designed this simple, compact 3-in-1 cat bed for his two wonderful kitties. 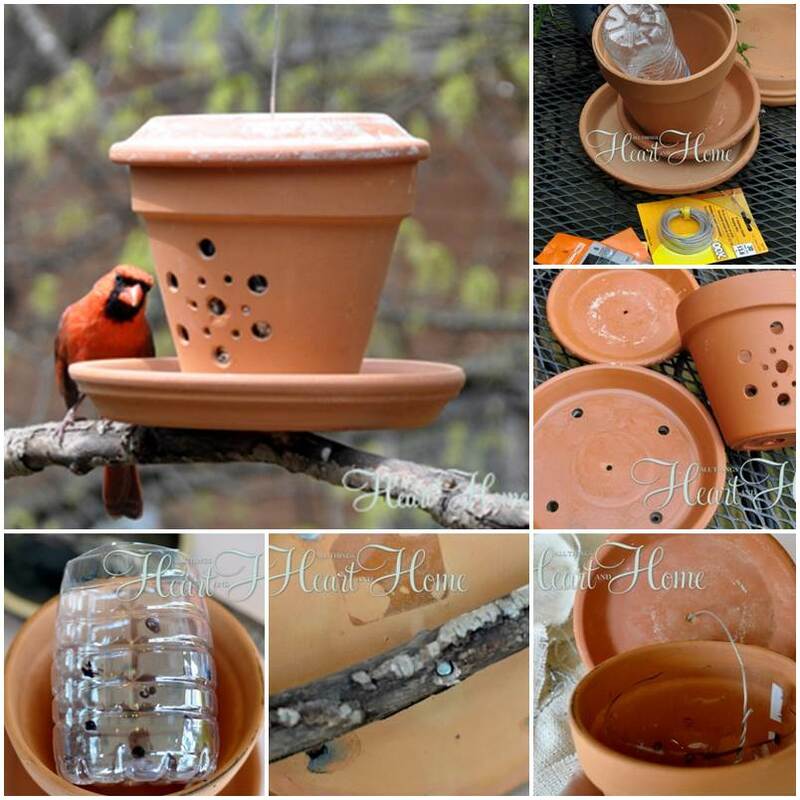 He used the following materials and tools. 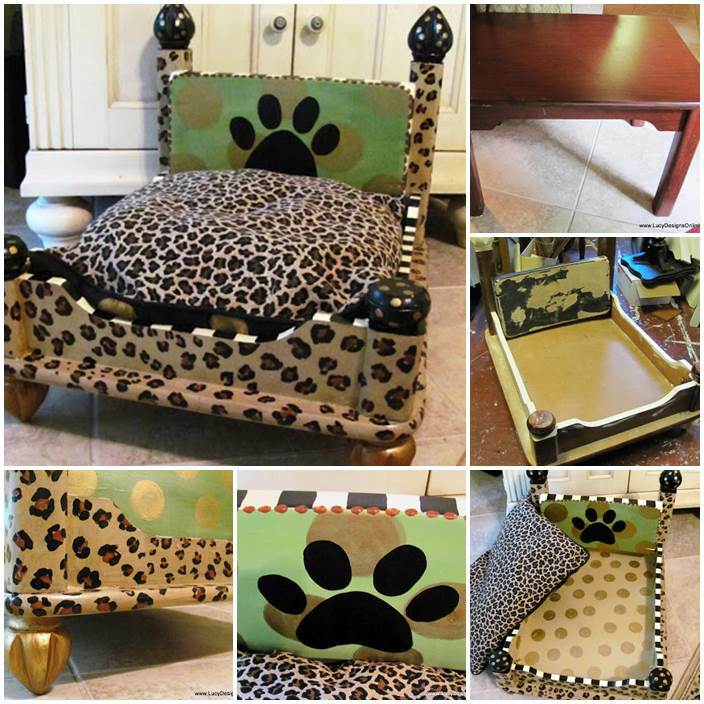 What makes this cat bed so special is that it can be used in three different ways. It can be a cave by turning the bed inside out (so the decorative pattern is on the outside) and then placing it on its side. 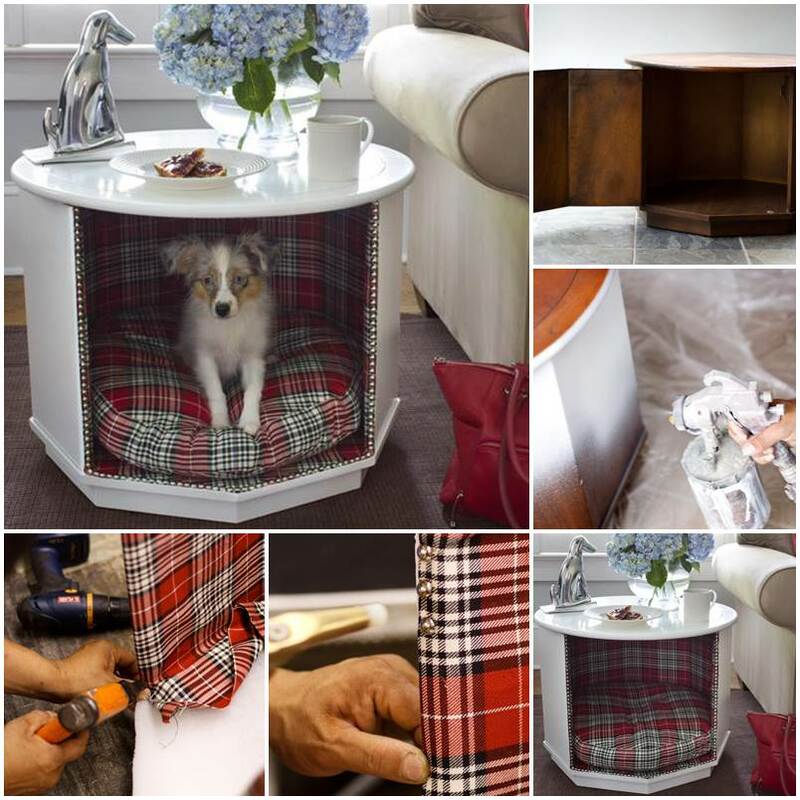 It can be turned into a tall bed by folding the sides over once, bringing the decorative edge down to meet the seam around the cushion. It can also be turned into a short bed by starting out just like the tall bed, but folding the top edge over one more time, so it falls just above the decorative shapes. No wonder the kitties are so happy and in love with the new bed! By the way, the short bed turned out to be favorite option of the kitties. 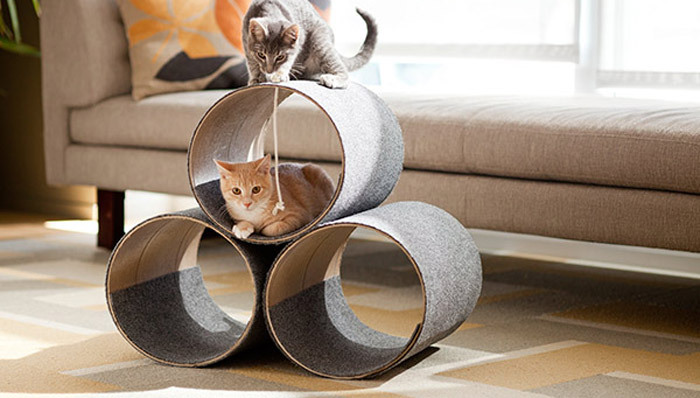 The following shows a graphic step-by-step DIY tutorial for making this 3-in-1 cat bed. 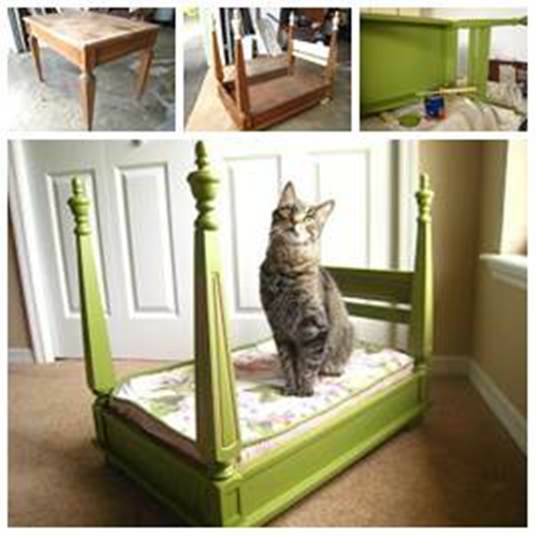 You can also view the complete tutorial via this link: http://www.thezenofmaking.com/2012/03/tutorial-magical-3-in-1-cat-bed.html.